Here it is, probably the most sought after (or at least requested) soundtrack on the 3DO. It seemed impossible to rip until one over-tired night of spontaneous ingenuity yielded the solution. Which was promptly forgotten after that night's sleep. Even if the technique wasn't saved the files were and here they are in the best sounding way you'll ever hear them. Title names are taken from the levels in which the track appeared, not including Orion Off Road as it is used in the "previews" section on the first release. It announces "Orion Off Road" which in the end became "Off-World Interceptor". Thanks for posting this. I haven't listened to this in forever! I always used to turn the sound fx off when playing this game and just crank up the music and play. Brings back a lot of memories. 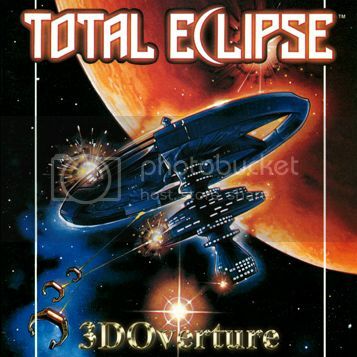 You piqued my curiosity, so I just spent a good hour or so trying to figure out why on earth uncdrom would not recognize the img I made of my total eclipse disc... finally booted up my Win98 VM and used 3DO Commander in there to extract the files. Then ZStream was able to do the SDX2 to WAV conversion, and then RAW Import them into Audacity and they played. hehe. Enough hoops to jump through? THANK YOU for telling me how I got this! I tried so many times before and after to get working files. Wish I had written it down, but yeah some crazy methods just for music.